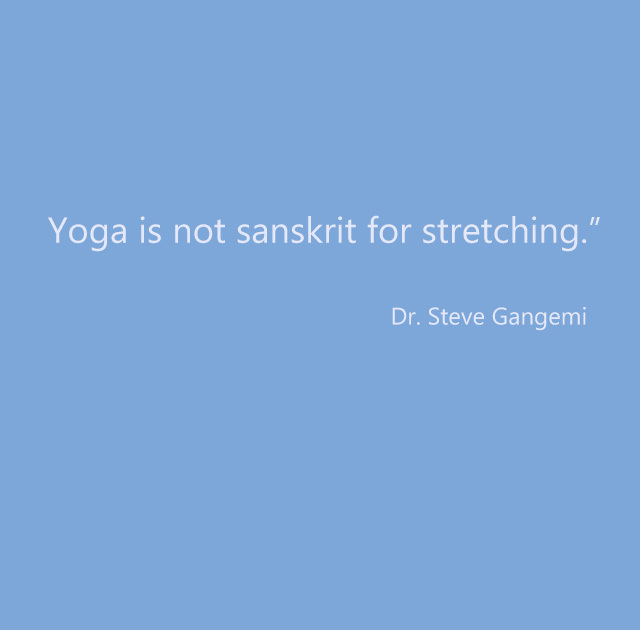 Dr. Steve Gangemi who is on a mission to stop mindless stretching reminds us that “Yoga is not sanskrit for stretching” Yoga connects us with our physical body, but also our mental, emotional, energetic and spiritual bodies. 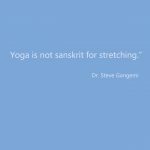 I think I am preaching to the choir now when I say yoga is so much more than flexibility and yet, the number one reason people tell me they practice yoga is to stay flexible. Flexibility for flexibility sake ends up with useless flexibility and will lead to injury. More flexibility is not necessarily better. We need to have adequate range of motion to be functional human beings, that is to be able to get out of bed in the morning, sit on the toilet, get up from the toilet, practice basic hygiene, get dressed and undressed, make our meals, get up and down from chairs, walk, go up and down stairs. But the truth of the matter is, being uber flexible, that is being able to touch our toes, or put our foot behind our heads does not mean we will be out of pain or be a better person. So what does flexibility really mean? Why is flexibility important to you? What do you want to receive by being flexible? Nikki says, “Flexibility in my body equals flexibility in my life. 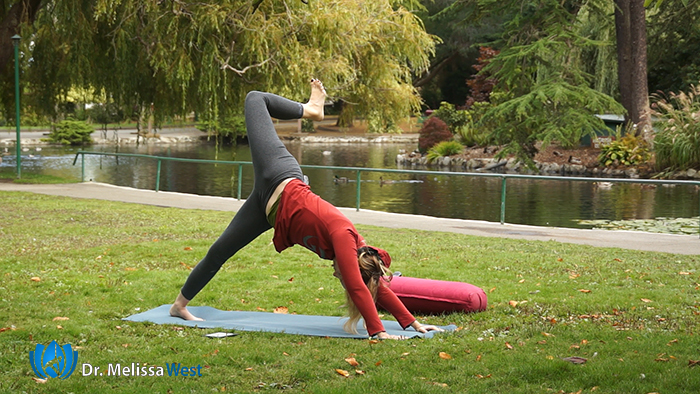 Recovering from chronic fatigue, chronic body pain, and chronic headaches, it’s necessary to find flexibility again. It eases my anxiety, and improves my mood as my body returns to a softer, more natural state. I love a strong body…mine is when I’m healthy…but balance between strength and flexibility helps the energy within me run smoothly, making everything better! What I love about your responses is that finding movement and flexibility in your physical body translates to flexibility in your mental, emotional, energetic, and spiritual bodies as well as your daily life. 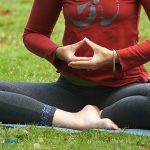 It is about more than touching your toes, it is about mental flexibility, it is about less pain, anxiety, stress and being in a state of flow. One of the major sites of constriction of our psoas muscle. This muscle contracts from hours and hours of sitting, but also from emotional contracting in response to stressful situations. Today we will spend our physical practice releasing our psoas to move our body out of its sympathetic fearful, fight or flight, trying to survive state, so that we can access our parasympathetic nervous system and find free and easy breathing with our diaphragm. 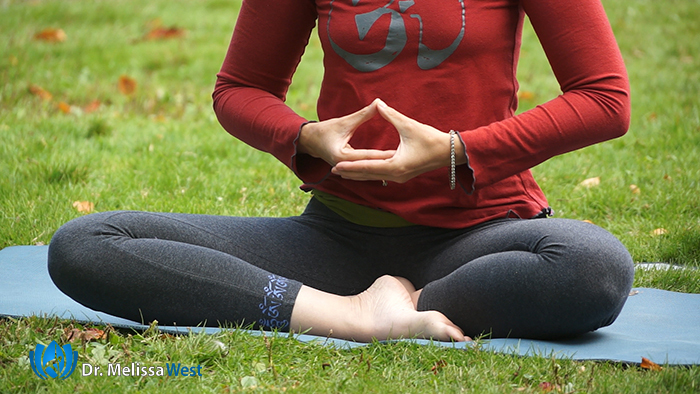 If you would like my Back to School List my list of 10 Essential Yoga Classes to get you through the back to school season then put your email address in below. Previous post: Why is Savasana so Important?